Actuate as many keys as you have fingers, and have all of them register accurately and quickly in-game. With the Razer DeathStalker's anti-ghosting capabilities, you can deliver overwhelming destruction to your opponents, and ensure that every command is registered and executed perfectly. 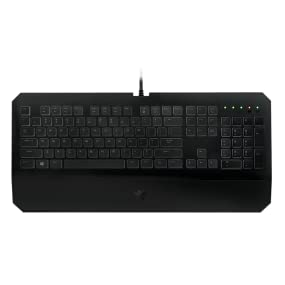 Razer Synapse 2.0 is cutting-edge, intuitive software that functions as the Razer DeathStalker's brain, automatically syncing the gaming keyboard to a cloud server to download driver and firmware updates, while saving your individual settings.